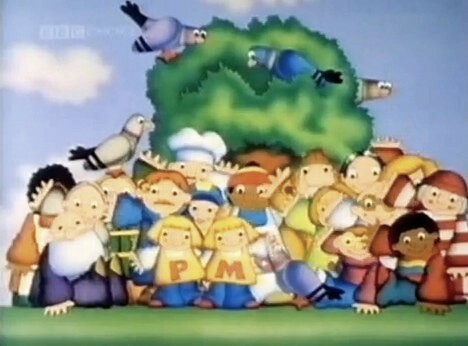 Pigeon Street is a pre-schoolers oriented television series which describes the life in a British city in and around Pigeon Street. 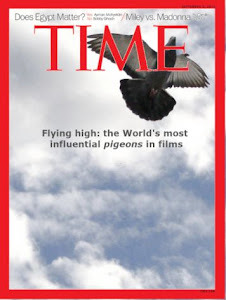 It includes many characters related to different roles in society and it also includes pigeons... many pigeons. 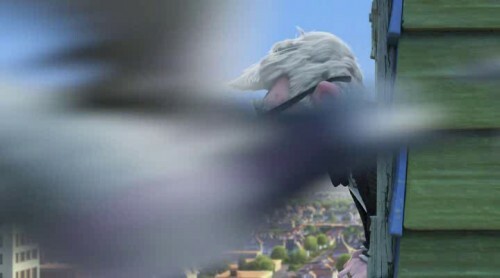 In the figure below we can see the main characters. Pigeon Street characters and pigeons. The contents of the series are politically correct, including for instance, Clara, a long distance lorry driver. Another interesting character is Bob. 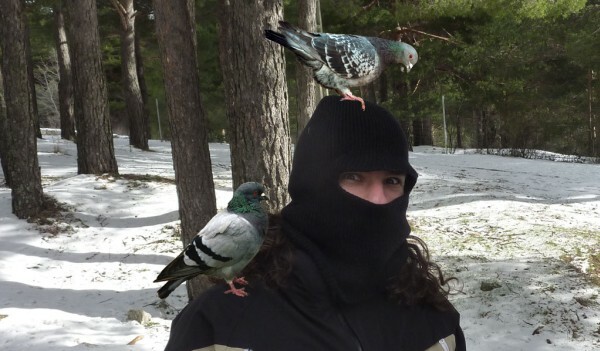 He is the owner of a bike shop who breeds homing pigeons. In the picture below we can see how after transporting pigeons in his motorbike (note the pigeon symbol on the helmet) he opens the basket and frees the pigeons which head back to their home. 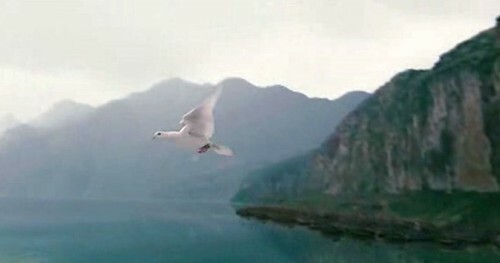 This is Bob's pigeon song -I really like the expression they feather the sky-. 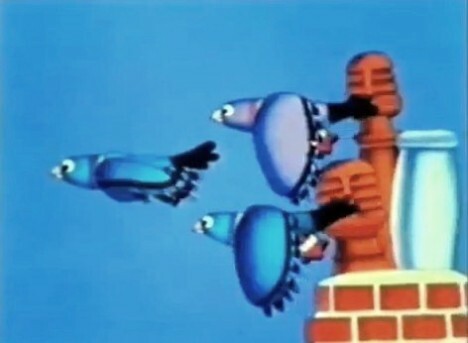 Bob (behind the basket) frees the homing pigeons. Homing pigeons cross the city heading back to their home. The music is very remarkable. 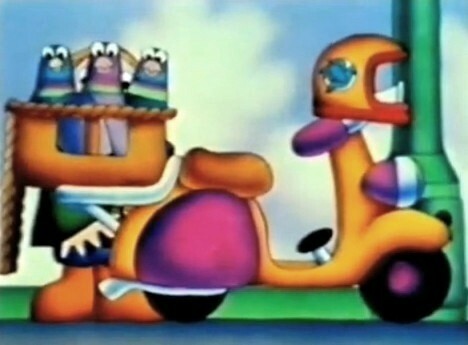 Most of the theme tunes can be downloaded from the Pigeon Street Official Site. 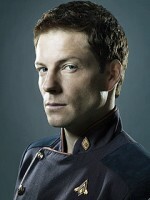 This site also includes a list of episodes and characters. Another resource for music and character descriptions is Little Gems. Most of episodes are online. For instance, Noisy Neighbours can be seen here. 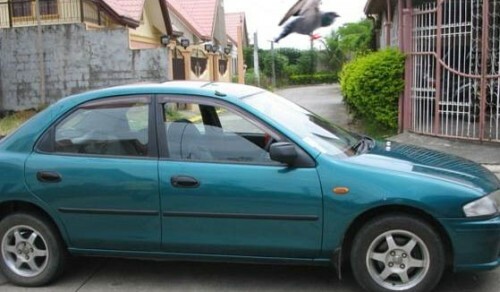 Pigeon activity: They are non-shy-friendly-urban pigeons which like to stay close to and interact with humans. 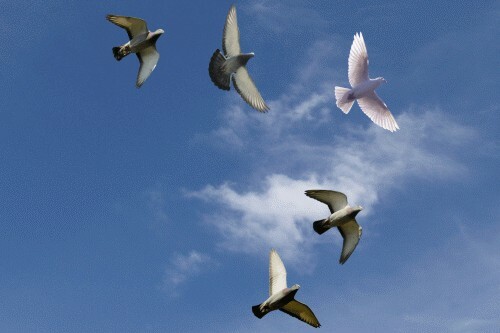 Symbolism: Pigeons are described as friendly animals that live together with humans. I think that this is a very positive message for children. Relevance: Medium. 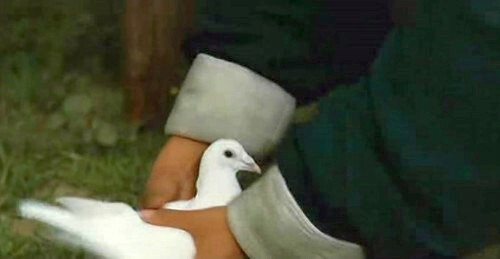 Although several pigeons appear in each episode, they only occasionally feature in the plot. Usually they are relegated to secondary characters. 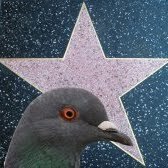 We have the winner of the First Edition of Pigeon Quest!! 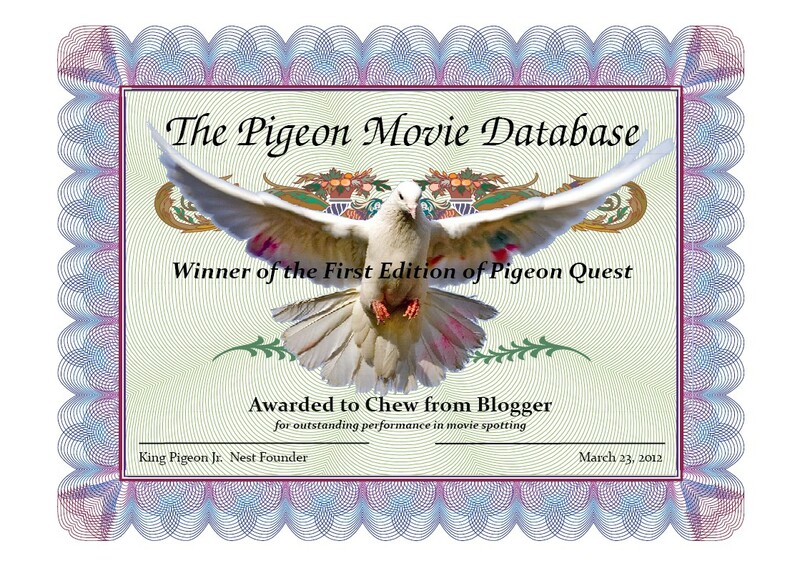 The winner is Chew, from Blogger. 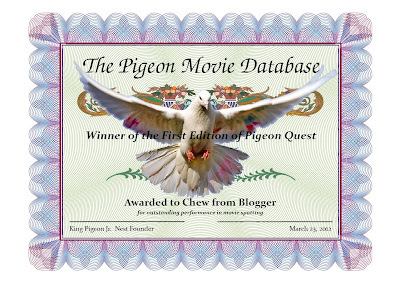 Here is the honorary certificate of being the winner in the First Edition of this quest. Chew: if you are interested in a printed copy of it, please, send me an email.